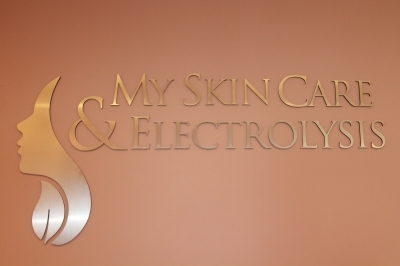 Lasers are in the limelight but Electrolysis is the STAR! We are here to provide you with the best, most professional post laser hair removal service in Essex County, NJ area that is available today. We specialize in hair cleanup after laser treatment. Unwanted facial and ingrown hairs are a common problem for women of dark skin. treating unwanted hair with laser hair removal on African, Hispanic, Mediterranean and Asian skin does not produce good results. We would like to inform you that laser hair removal is not permanent by itself. The most laser hair removal can provide is hair reduction. But when you combine laser hair removal and then follow up subsequent treatments with electrolysis you can obtain a permanent result. Lasers are not capable to treat white, gray, red, or light blonde hairs. These hairs do not have enough pigment to attract the laser light. In these cases electrolysis is the only answer for permanent hair removal. Laser Hair Removal and Electrolysis can work hand in hand and compliment each other. Call us for expert laser provider recommendation and FREE consultation. Let Elite Electrolysis take care of those stray hairs. Call today for FREE electrolysis post laser consultation and let us show you how we can complete your clean, smooth and hair free look. Explore our laser hair removal nj cleanup site and learn more !